Hsin Yi Chang Industry Co., Ltd. was established in 1980.With many years’ design experience, now HIC was widely known as our kindly services and delicate products. 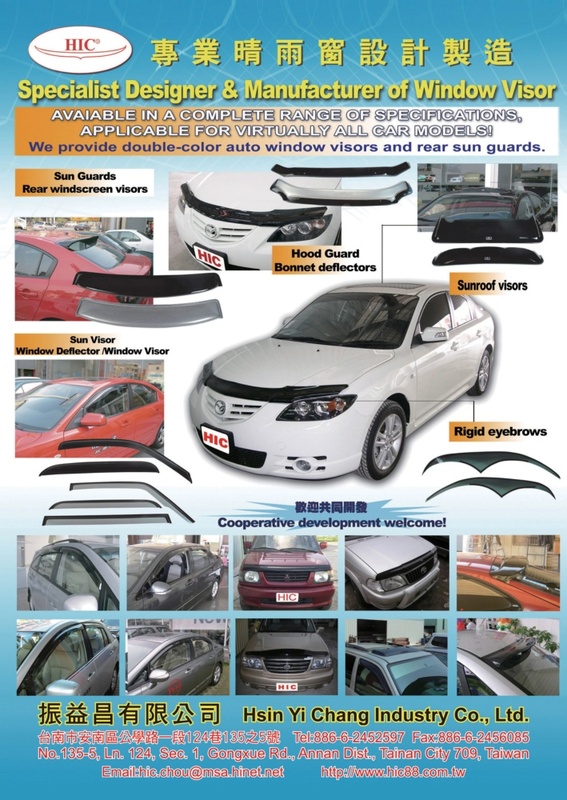 We excel in producing Window visor, Rear sun guards, Rear Roof visors, Bonnet Deflector, Sunroof deflector ,auto front protective lampshades, Windshields etc. We have more than 1000 models now. Specializing in producing and serving all finished in-house, acrylic molding and other miscellaneous products. We are looking forward to join in the international competition in the future. Constantly extend ourselves to promote international image and aggressively stand on the top of Taiwan, step toward the world.